Fresh off their spacewalk Monday, astronauts Anne McClain and David Saint-Jacques are now practicing to capture Northrop Grumman's Cygnus space freighter with the Canadarm2 robotic arm. McClain will be at the robotics workstation in the cupola April 19 and command the Canadarm2 to capture Cygnus around 5:30 a.m. EDT. Saint-Jacques will back her up while Flight Engineer Nick Hague monitors Cygnus' systems during its approach and rendezvous. The commercial cargo craft is due to launch April 17 at 4:46 p.m. from Wallops Flight Facility in Virginia. The astronauts also researched how the station's atmosphere affects breathing. The experiment studies how dust, particles and exhaled breath inflames a crewmember's airways. Observations may reveal conditions that exacerbate or alleviate airway inflammation influencing future space missions. Cerebral Autoregulation: Using the Cardiolab Portable Doppler and European Physiology Module Facility Continuous Blood Pressure Device, the crew performed data measurements for the JAXA Cerebral Autoregulation experiment. As the body's most important organ, the brain needs a strong and reliable blood supply so the brain is capable of self-regulating blood flow even when the heart and blood vessels cannot maintain an ideal blood pressure. The investigation tests whether this self-regulation improves in the microgravity environment of space. ISS HAM Pass: The crew participated in an ISS HAM event with Shaftesbury High School, Winnipeg, Manitoba, Canada. Shaftesbury High School is a public school in the Pembina Trails School Division serving approximately 700 students from grades 9 through 12. 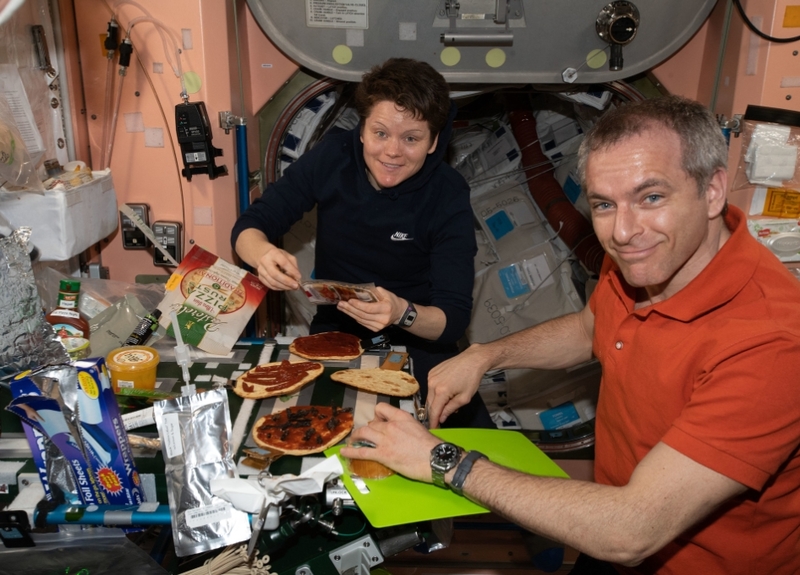 Questions involved solar power on ISS, entertainment in space, and the crew's diet on ISS. ISS Ham Radio provides opportunities to engage and educate students, teachers, parents and other members of the community in science, technology, engineering and math by providing a means to communicate between astronauts and the ground HAM radio units.